For connection of Patriot Energizers (P5, P10, P20, and P30) to 12v battery. 12v lead is 40" long. Standard lead for all Patriot energizers. Connect the red positive lead-clip to positive terminal of the battery. Connect the black negative lead-clip to negative terminal of the battery. 1 joule electric fence energizer. Can be plugged in or used with a 12v battery. We like them for their combination of versatility, portability and value. A 2 joule, plug-in or battery electric fence energizer used to keep out wildlife and predators and keep in livestock. 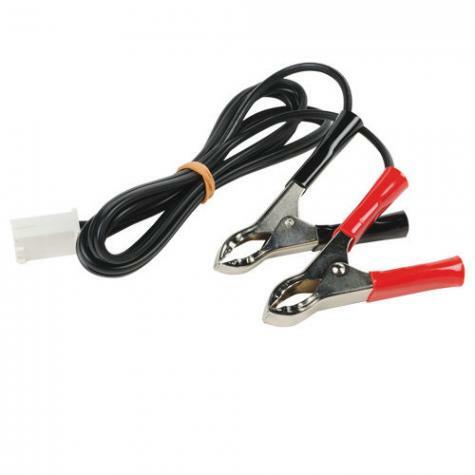 This 3-joule energizer provides a deterring pulse for medium to long electric fences. Keeps livestock contained and stops predators in their tracks.